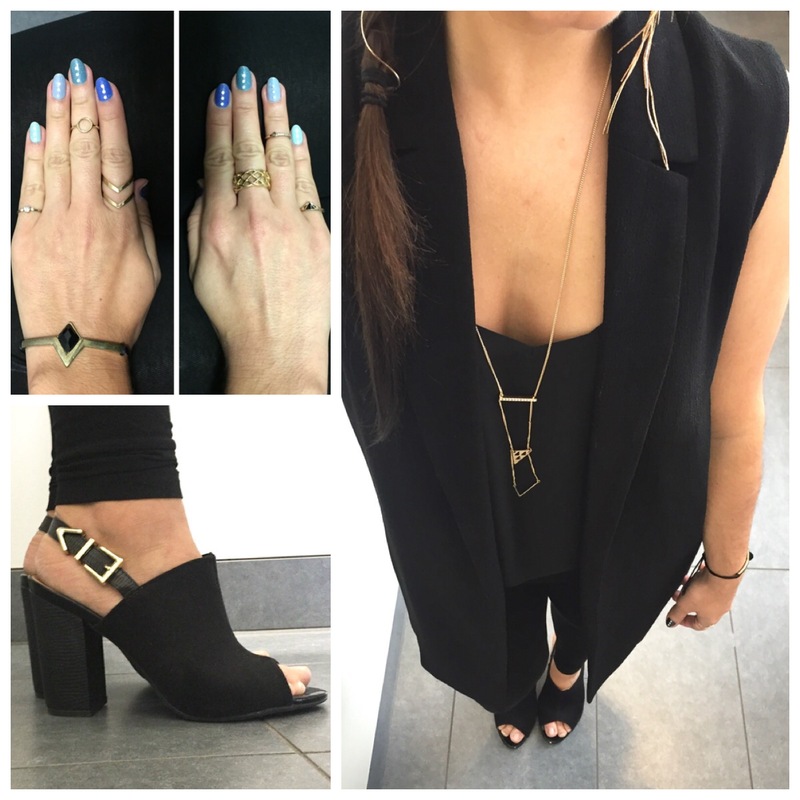 The sleeveless jacket is a great piece for SS15; this one is from New Look. I added simple black leggings (H&M) and a loose vest (bought in Brasil), shoes from Vizzano, necklace from Primark, rings from H&M and Primark for an effortless, up-to-date look. This white top with cut out flowers from New Look is the cutest! 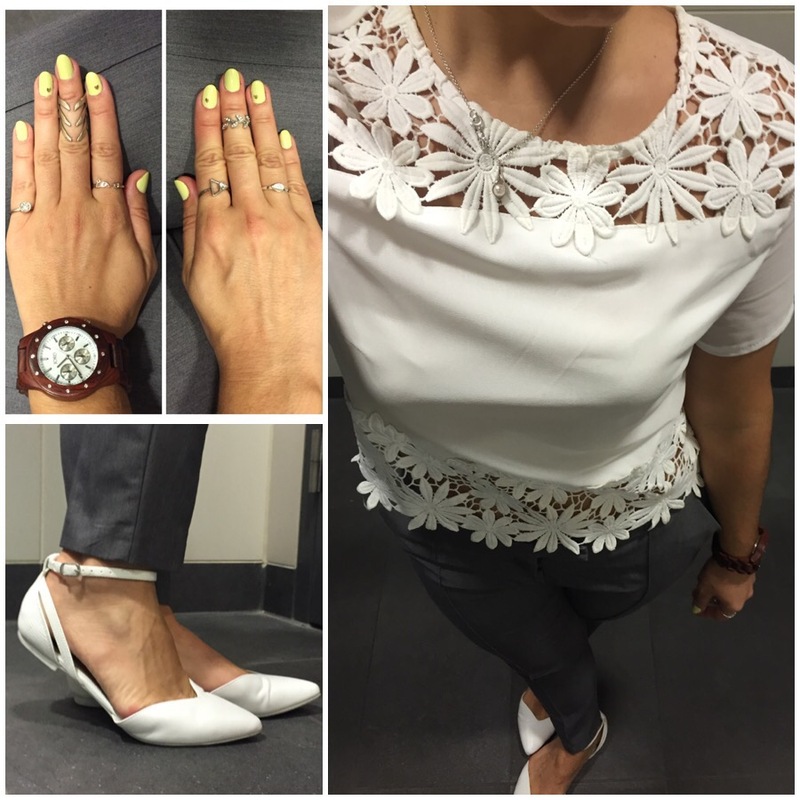 I wore with social grey trousers from Topshop, white flat shoes from New Look, necklace from Emma-Kate Francis, wood watch from JORD, rings from The Rogue and the Wolf, H&M and Primark. A summer ensemble perfect for the office. I went dotty on this, using contrasting dot prints on my skirt (River Island) and top (H&M), in black and white! Shoes are from Viviana, necklace from Emma-Kate Francis, rings from Forever 21, H&M and Disney Couture. I feel a bit retro and lady-like on this outfit. And talking about retro, I absolutely love this flowery dress from Starlet (former Sirens & Starlets), which appeared a few times on the blog already. 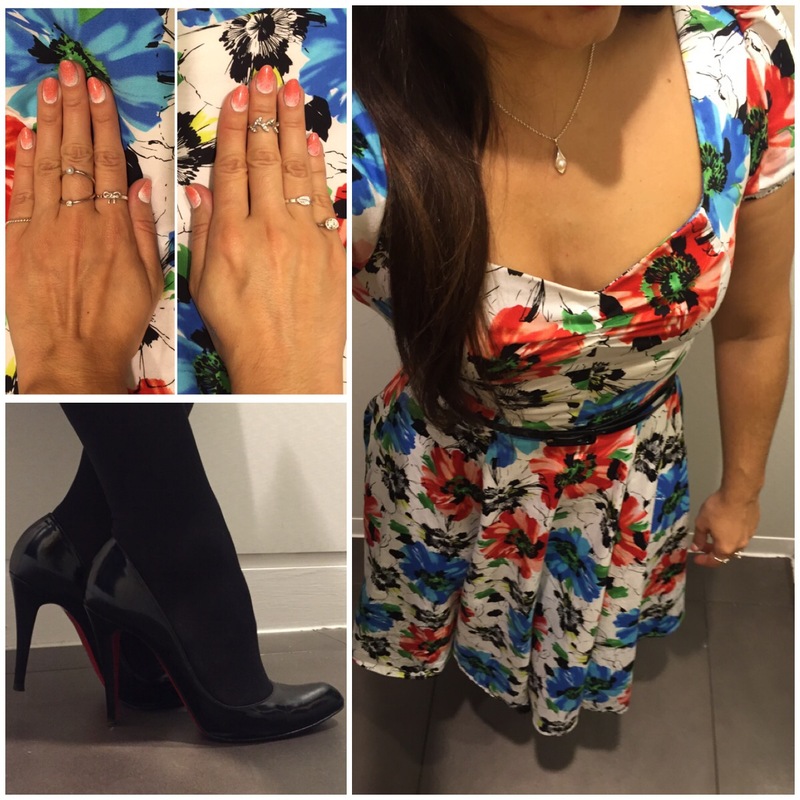 I added a pair of black courts from Christian Louboutin, the beautiful Emma-Kate Francis necklace and rings from Forever 21, H&M and Primark. So, what did you think of my June selection? As you can see, I am a bit obsessed with the Emma-Kate Francis Cala Lily necklace… what’s your fashion obsession at the moment? Contains a few samples dotted around, but most of the stuff was bought with my own money.